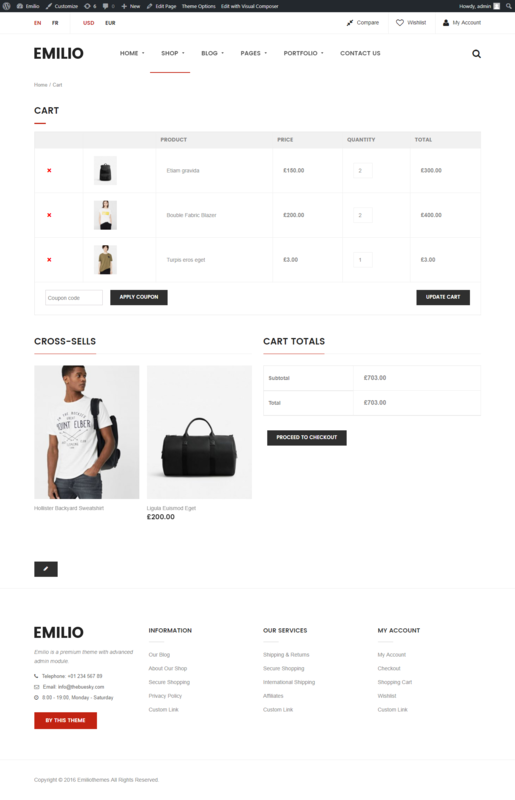 Emilio is a Magento 2 Responsive Fashion Theme with extremely customizable admin settings. Suitable for every type of store. 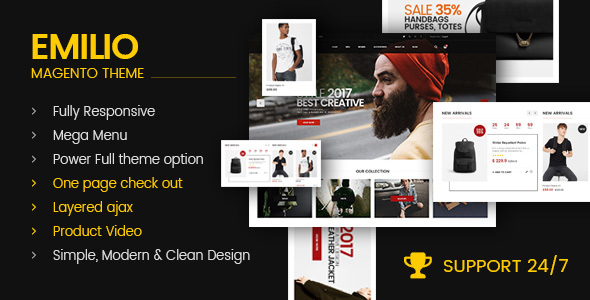 Emilio is a Magento Theme which is supported by SEO standard of electronics major. Moreover, Fully Responsive design makes Emilio to be compatible with all of mobile devices. 1. 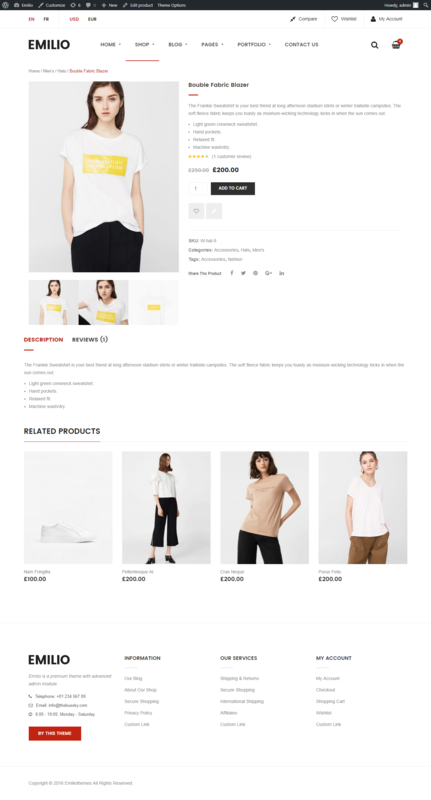 Update lastest version magento 2.2.4. Added module brand and fix style issue and module.